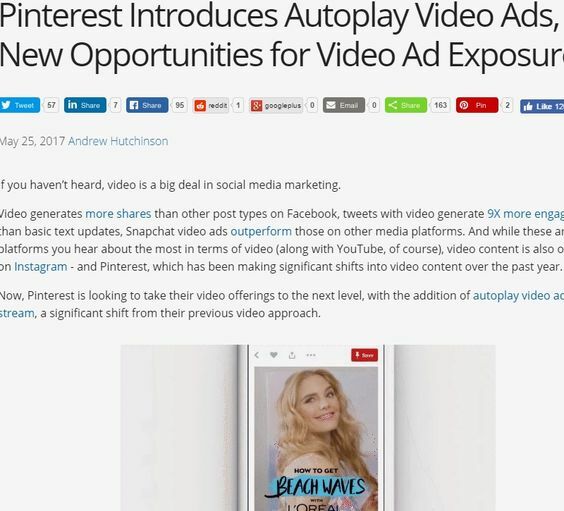 Pinterest recently announced something that makes it even more vital that anyone selling products on Pinterest use rich product pins. That is, if you use a rich product pin your product will be featured in the Gifts category. The gifts category is quite prominent and is arranged by price range. 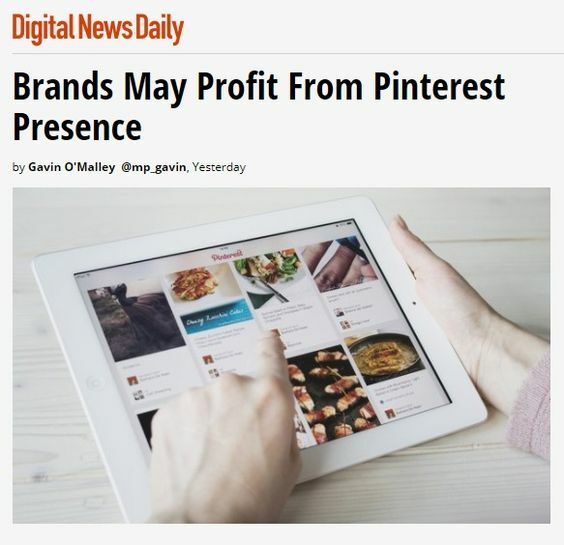 Getting your product there gives your pins more exposure outside of your own boards. Eventually the gifts category will only show rich Product Pins. Categories on Pinterest have gone visual. Note the gift category right at the top! After the popular, everything, video and gift categories, they are shown in alphabetical order. Product pins are rich pins (basically one of 5 categories of pins such as recipe, article, movie or recipe pins, that automatically pull information from your website). Product pins show price, description, availability and a link to the product right on the pin. Target is one retailer that really likes rich pins. 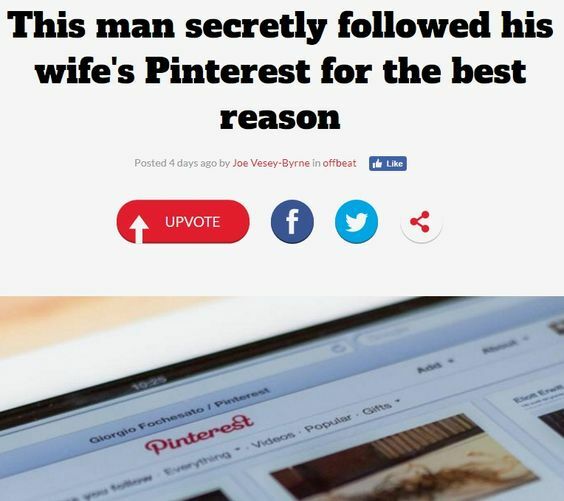 You would too if you got these eye-popping results. 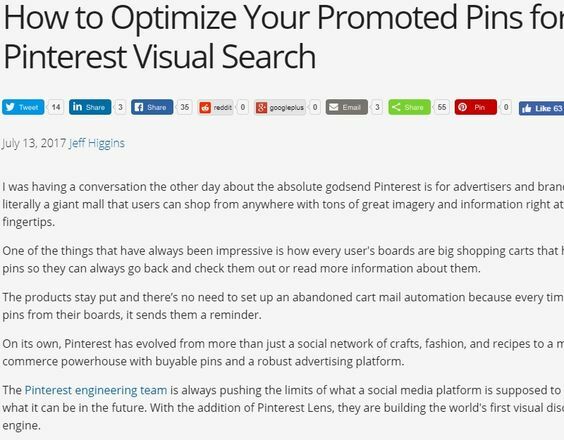 After implementing rich pins Target saw 70%+ more traffic from Pinterest. The information for rich pins is automatically pulled from your site so you control what is written about the product. No one can alter the description in the section that is pulled from your website. If you want to see screenshots, and more data, check out this helpful post about rich pins. You can tell a rich pin from a regular pin because it has the price and a direct link to the product page with a small logo beside it. If the price changes on your website then it will update the pin. Anyone can add a price to a regular pin, but it’s not dynamic. If the price changes then the retailer would have to manually update the price on the pin. Example of a rich pin (note the small logo and link) – when you click you’ll see the price. 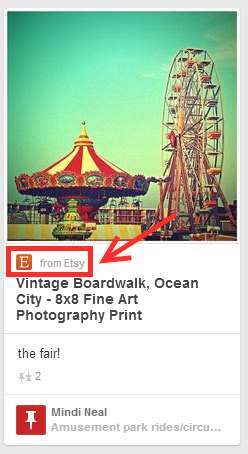 If you sell products through another retailer such as Etsy, or eBay they already have rich pins. If you have a store through Shopify you can set up rich pins for your store (directions in link). Everyone else has to set it up for their site. 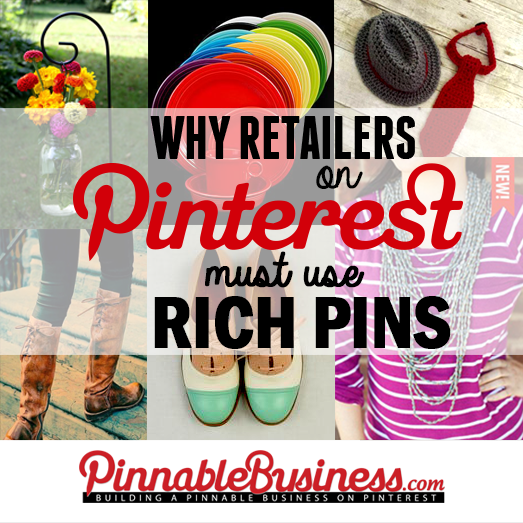 Just remember that you must have a business account on Pinterest to get rich pins. Another benefit to using rich pins is that Pinterest sends an email to people who’ve pinned your product if the price drops. 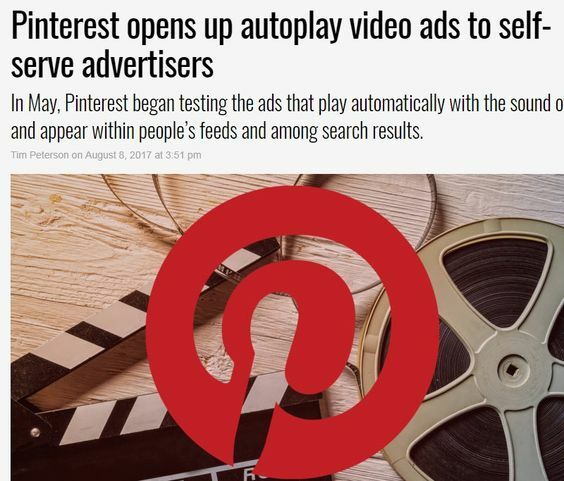 We can see this being a great strategy for promoting seasonal or sale priced items, lower the price and you can easily let your target market on Pinterest know. Also, product pins get more clicks. 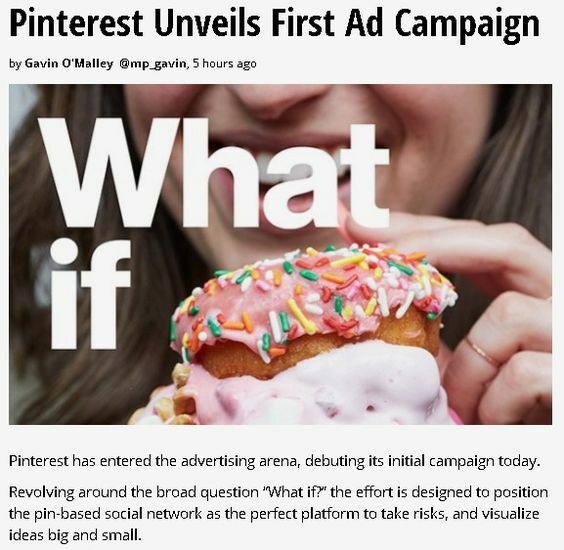 Pinterest’s data shows, “Product Pins get higher click-through rates than regular Pins and make your brand more visible because of the logo on the Pin.” Unfortunately they haven’t released numbers, but we’ll take their word for it. 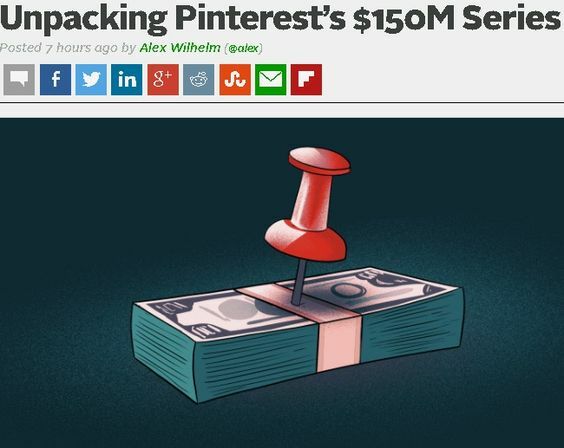 To set up rich pins go to Pinterest’s developers site. You may need to hire a developer to help you. It’s not a simple process. TLDR; Product pins give you higher visibility in the pin feed, more control over your descriptions, and an extra listing in the gifts category. You can change the price on your website and it automatically changes on your pins, saving you lot of headaches. 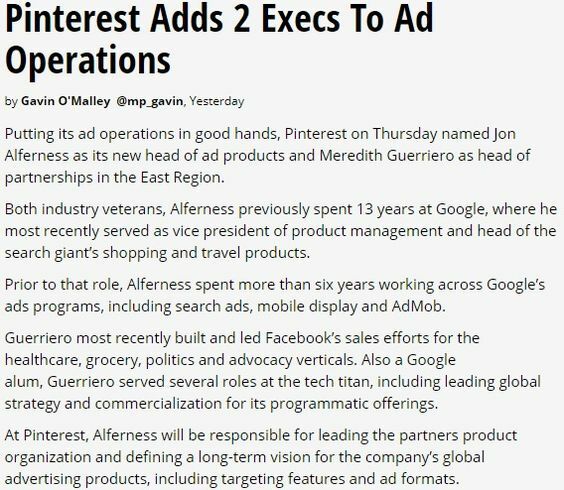 As an additional bonus, if you drop your price, Pinterest sends people who’ve pinned your product an email alert.